The Economist Explains: What Is Freemasonry? Given the current wave of anti-Masonic press coverage in England so far this year, it's refreshing when a news outlet there actually publishes a rational, fairly even-handed examination of the fraternity. 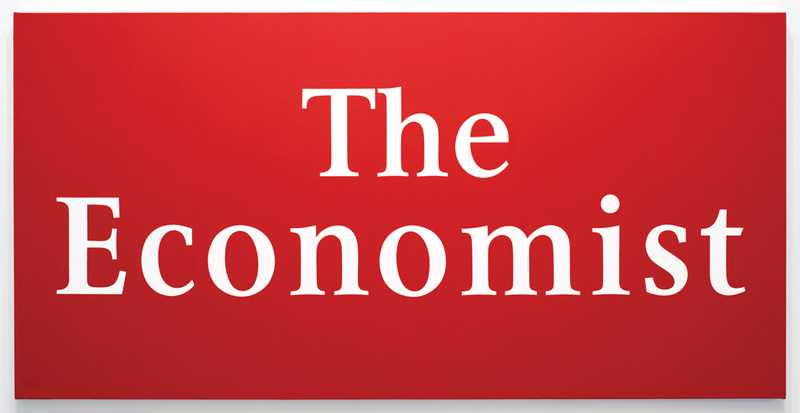 Check out this summary article from The Economist on Tuesday, The Economist Explains: 'What Is Freemasonry?' by K.W. 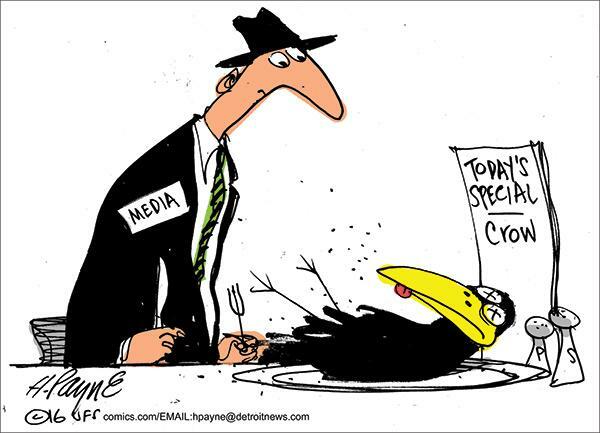 Misinformation and conspiracy abound. Is it a benign organisation or one bent on subverting government? 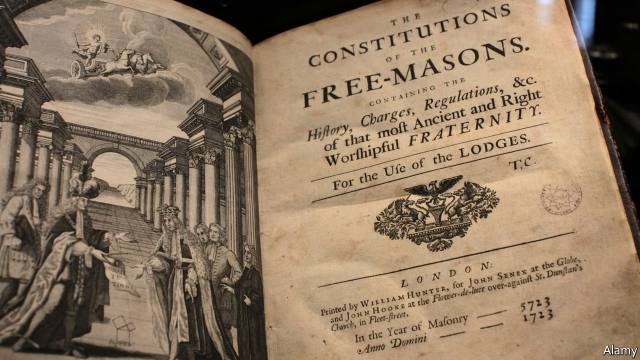 THE literature on freemasonry does not offer straightforward explanations. Is it benign or bent on subverting government? Is it a community of knowledge or of the occult? Such questions are not new. Since its development in the 18th century, freemasonry has drawn the ire of the Catholic church, right-wing politicians and, more recently, Britain’s Home Office. (Fearing that masons in the police and judiciary were giving preferential treatment to other masons, the Home Office between 1998 and 2009 required judicial appointees to disclose their membership.) Freemasonry can appear incomprehensible because it contains no coherent ideology or doctrine, and is defined instead by a commitment to universal brotherhood and self-improvement. Nor does a single governing body exist. 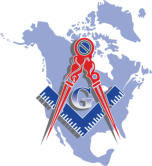 It is made up of a loose network of groups, known as lodges, that fall under regional and national grand lodges. 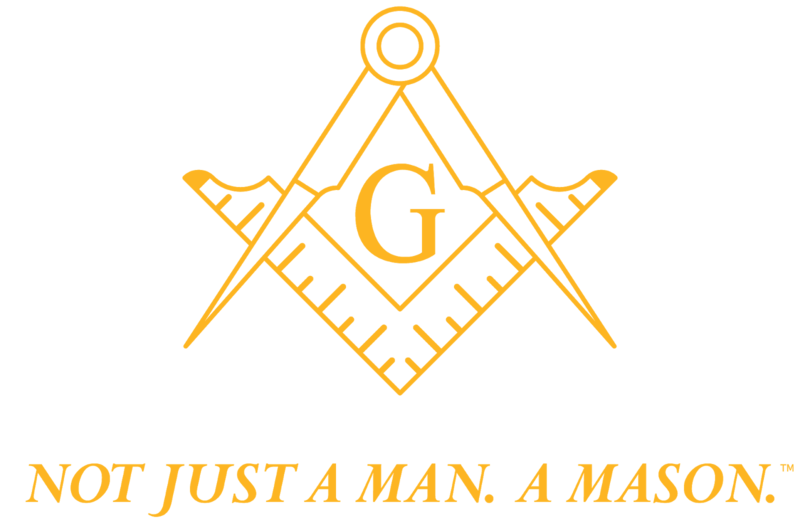 What, then, is freemasonry all about? Perhaps the UGLE's new recent public responses have borne more positive fruit. 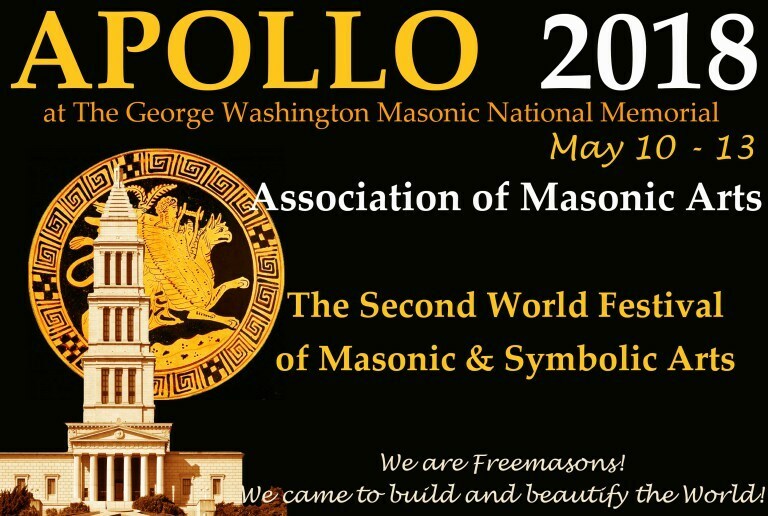 The Second World Festival of Symbolic and Masonic Arts, APOLLO 2018, will be held May 10th—13th at the George Washington Masonic National Memorial in Alexandria, Virginia. 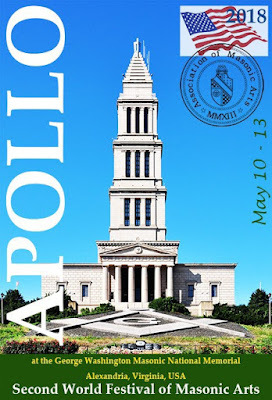 The Apollo Festival of Masonic Arts is a world celebration of the symbolic culture of Freemasonry, organized by the Association of Masonic Arts (AMA), and hosted by different grand lodges around the world. The main purpose of the festival is to present the centuries old masterpieces of the Craft and contemporary art products, made by brethren from different cultures and countries. • General Exhibition of Masterpieces of Masonic and Symbolic fine arts. Presentation of the history of grand lodges, Masonic libraries and museums, Masonic authors and artists. • Lectures and presentations on the history and contemporary development of the Symbolic and Masonic arts and material culture. Papers by writers and researches from all around the world are welcomed. The papers will be published in the Catalog of the Symbolic Arts. • Student contests at poetry, fine arts, music and short documentary movies. • Lunches, dinners, cocktails, and awards. The organizers are still actively seeking more interested authors, researchers, artists, craftsmen, and musicians to participate in the event's programming. Confirmed speakers at this time include AMA Chairman Thomas Jackson, Dimitar G. Mavrov, Ryan Flynn, Barbara Castrucci (Italy), Ferenc Sebok (Belgium), and more. Concerts will be performed by Alexandre Dietrich (Brazil), Janos Cegledy (Japan), and the Youth Symphony Orchestra. • Music: musical composition, which may also include lyrics. Tickets for the four day event are $400 and include admission to all presentations, exhibitions and concerts. Lunches and three dinners are also included. Founded in 2013, the Association of Masonic Arts is actively involved in laying the groundwork for a far greater appreciation of the significance of the Masonic Arts, and its recognizable material culture in Western history and beyond. Though the beautiful objects of the Craft have long been a focus of great fondness for Masons, the serious potential in using the wider appreciation of its themes and symbolic meanings has been under-appreciated as a simple way of bringing all those connected with Masonic traditions together. The AMA will strongly pursue the goal of fostering greater research, dialogue, courteous debate and vigorous application of basic artistic enthusiasm towards a higher purpose. Why does it seem that more and more real-life events around the world have come to resemble parody stories from The Onion these days? "Former Freemason, 51, found drunk and naked inside a huge pipe organ with a toy gun and remote-controlled police car says he got lost while trying to hand out cheeseburgers to the homeless"
"'What Aussie hasn’t woken up after a big night out naked, surrounded by cheeseburgers and full of regret': Supporters get behind man who was found passed out inside $1 million pipe organ"
"Former Brisbane Freemason Glenn Langford apologises after being found naked in broken pipe organ, surrounded by cheeseburger"
A former freemason found drunk and naked inside a huge pipe organ has appeared in court accused of damaging the historic instrument - insured for more than $1 million. 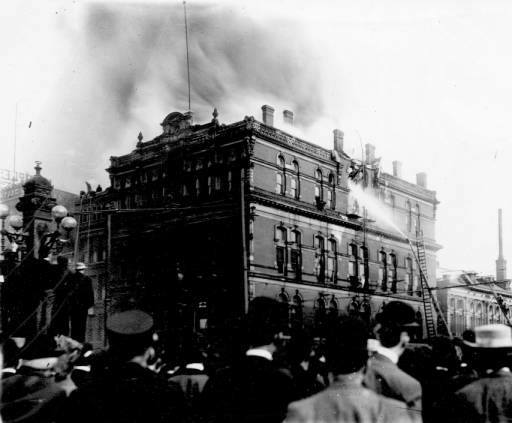 Glenn Langford was arrested on Wednesday after allegedly flooding the Brisbane Masonic Memorial Centre and setting off the fire alarms. 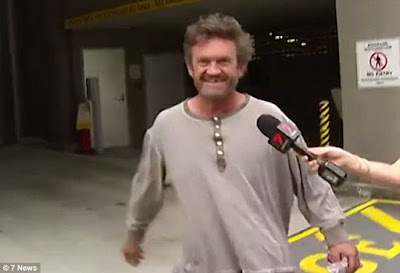 The 51-year-old faced charges at the Brisbane Arrest Court on Thursday and was granted bail. But he said his intentions were initially well-meaning and the night had got out of hand after downing a bottle of Johnny Walker whisky, 7 News reports. The court was told he had been meaning to hand out cheeseburgers to the homeless. Food was left scattered on the floor of the grand hall of the heritage-listed temple in Brisbane's CBD, which features one of the biggest organs in Queensland. It is feared the organ, installed in the 1930s, may be too damaged to be repaired despite it being insured for $1 million. 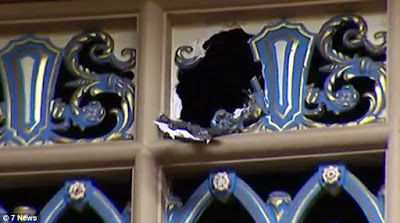 Mr Langford is charged with allegedly damaging a number of organ pipes and destroying part of a decorative wall. He was also discovered naked along with clothes, a remote controlled police car and toy gun. The magistrate heard from Mr Langford's lawyer who explained he had last week lost his job and was getting over the breakdown of a 16-year relationship. He was granted bail on the condition that he stayed more than 100 metres away from the centre in Ann Street. 'Things just got a little loose, I was out of it,' Mr Langford told 7 News. He apologised to 'all the righteous Freemasons everywhere'. 'I did have a lot of cheeseburgers to give to the homeless. I'm going to see a shrink and don't drink,' he added. The Grand Lodge was very quick to point out that Langford is NOT a current Freemason in good standing. The question certainly arises as to whether he is a madman or a fool. But I frankly question the sanity of a judge granting him bail and letting him walk out of the courtroom on Friday. As downright bizarre as this story is, the damage to the irreplaceable pipe organ and the temple building is nothing to laugh about. 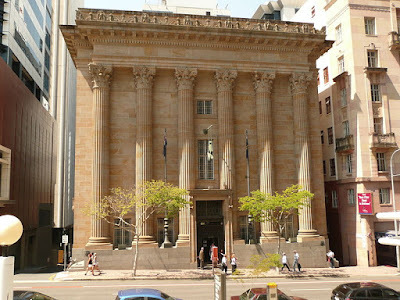 The Brisbane Masonic Memorial Centre is home to what is reportedly one of the largest pipe organs in Queensland, Australia. Apparently, in addition to busting up the decorative grating around it and destroying several organ pipes, he also managed to cause a major flood in the building before his drunken antics were done. 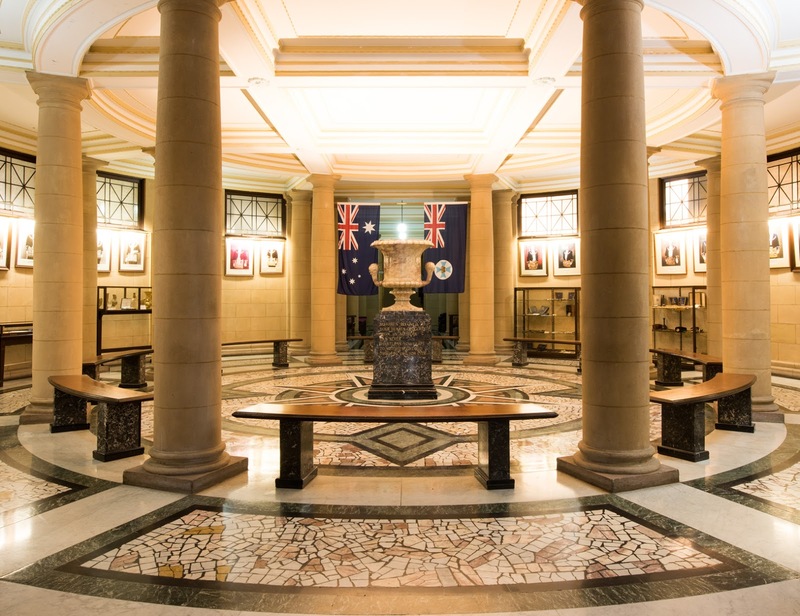 The Brisbane Masonic Memorial Centre is a magnificent building, and more information can be found on their website HERE. Let's hope the damage isn't as catastrophic as the Centre's caretaker reportedly first perceived it to be. Well, as usual, the press never actually speaks to any Freemasons who might know something about the stories that affect them. It seems that all of the press accounts contained the same erroneous information about the extent of the damage to the Centre and the organ. "The caretaker was not spoken to by the reporter, she made that up. The Organ is entirely repairable and initial estimates from the organ builder are around $20K. [Langford] did bend and rip out pipes and throw them at police while he was barricaded in the pipes loft - that is what broke the bits off the plaster screen - which is going to be the hard part to repair. The toys and his clothes were all in the middle of the Grand Hall, nowhere near the organ loft where he ran to try to escape being arrested..."
Officers of Fredericksburg Masonic Lodge 4 in Virginia will be retrieving the Washington Bible in Indianapolis this evening, and the Masonic Library and Museum of Indiana would like to express our deepest gratitude to them for graciously entrusting us to display their famous artifact here since January. That is something they have rarely permitted in the past. 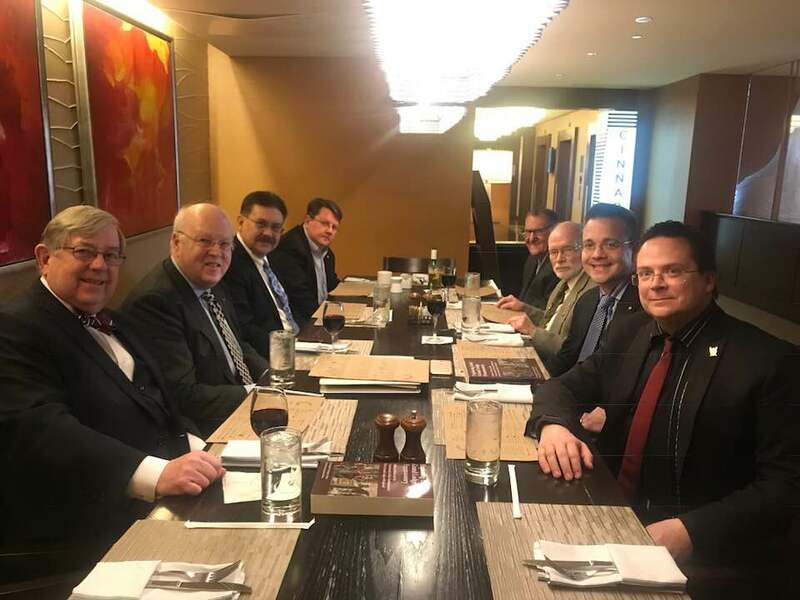 The generosity of our Virginia brethren has contributed greatly to our celebration of the Bicentennial of the founding of the Grand Lodge of Indiana, as well as to the Conference of Grand Masters of North America in Indianapolis this week. As a result, an estimated 2,000 visitors from all over the world have been able to see this important part of American Masonic history for themselves during its stay here in our city. 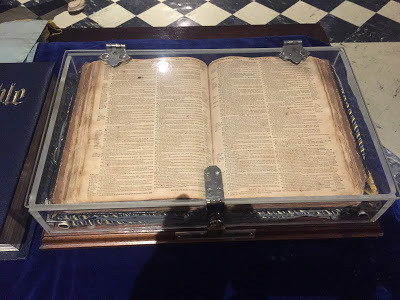 The Bible that George Washington took his Masonic obligations upon has never been properly conserved in the past, and it is an extremely fragile artifact as you can imagine. The book itself was printed in 1668 and was already nearly a century old when young George placed his hands upon it. It is 350 years old now, and is in need of costly restoration by museum professionals. Consequently, the MLMI has made a substantial contribution to the lodge for this purpose, as a token of our gratitude to them for letting us display it. both our nation's and our fraternity's past. with the Fredericksburg Bible this week. "The members of Fredericksburg Masonic Lodge # 4 A.F. 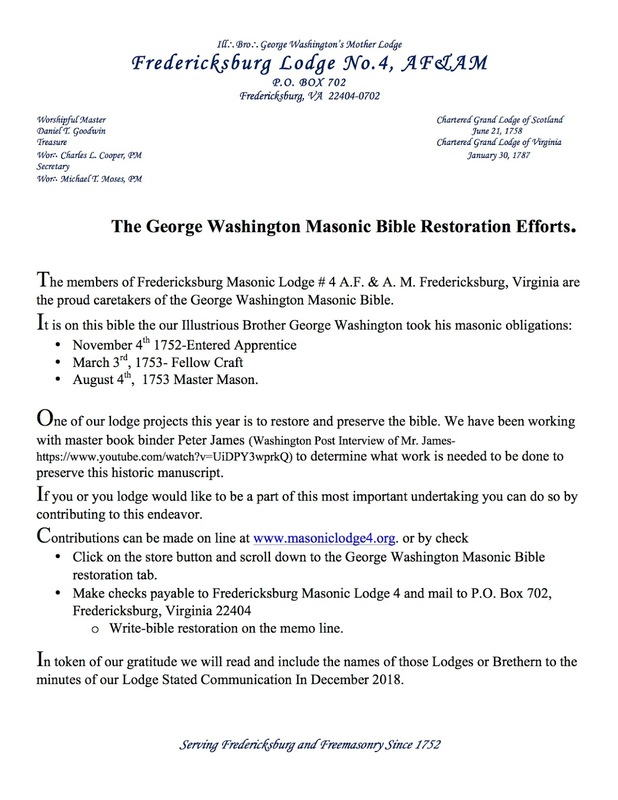 & A. M. Fredericksburg, Virginia are the proud caretakers of the George Washington Masonic Bible. • November 4th 1752-Entered Apprentice• March 3rd, 1753- Fellow Craft• August 4th, 1753 Master Mason. "One of our lodge projects this year is to restore and preserve the bible. We have been working with master book binder Peter James to determine what work is needed to be done to preserve this historic manuscript. "If you or you lodge would like to be a part of this most important undertaking you can do so by contributing to this endeavor. 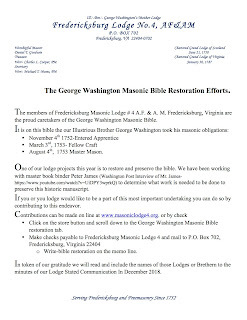 • Click on the store button and scroll down to the George Washington Masonic Bible restoration tab. • Write 'Bible Restoration' on the memo line. 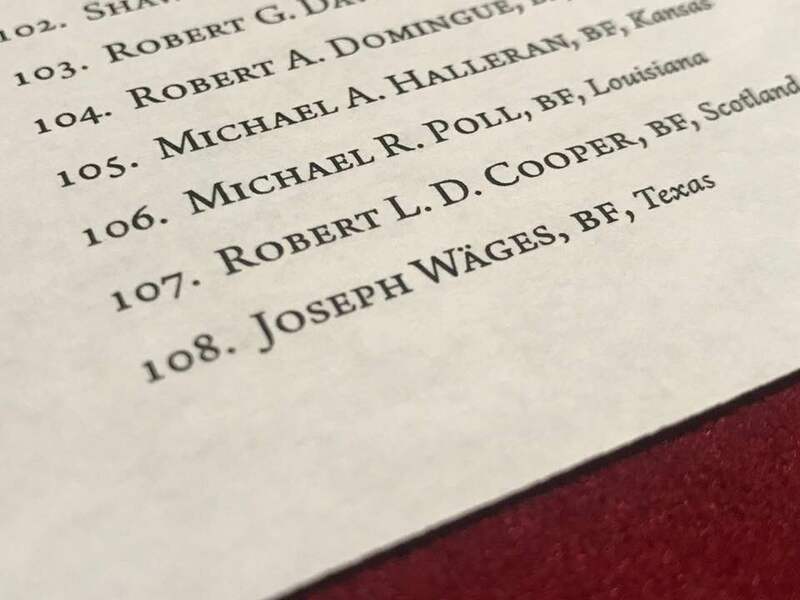 "In token of our gratitude we will read and include the names of those Lodges or Brethern to the minutes of our Lodge Stated Communication In December 2018." Interview with Peter James about historic book restoration. This article was the subject of a public complaint by the UGLE and an investigation by the Guardian readers’ editor. On 20 February 2018, consistent with the readers’ editor’s conclusions, the article was amended to remove a misleading impression conveyed by the original headline, standfirst and lede to the effect that the existence of the three named lodges was secret or covert, that they met secretly at the Palace of Westminster, and that New Welcome Lodge had MPs among its membership currently. 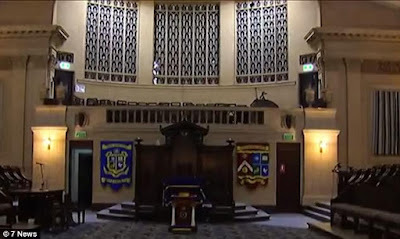 As the body of the article reported from the outset, the lodges meet at Freemasons’ Hall, the UGLE headquarters at Covent Garden. The lodges’ existence has been public for many years, and two of them have Wikipedia pages. The UGLE says no MPs are currently members of New Welcome Lodge, and that its records do not show “lobby journalist” as the profession of any of its members but it cannot say with certainty that there are no lobby journalists who are UGLE Freemasons. In response to the readers’ editor’s request for the number – not names or lodges, if the UGLE was constrained from disclosing them – of current MPs who are Freemasons, the UGLE said its chief executive believed that fewer than 10 MPs were UGLE Freemasons and that typically they were members of a lodge local to their constituency. The original headline of the article was 'Two Freemasons' lodges operating secretly at Westminster.' It was changed this morning. That first article made nebulous inferences that there was something dodgy going on involving Freemasons, government officials in Parliament, and the Westminster journalists who cover them—all based on innuendo and just plain wrong information. 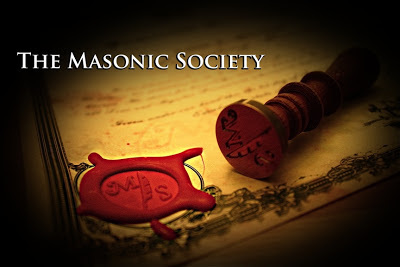 It was all presented as "secret" and "covert," whatever it was, and subsequent articles and editorials were designed to create the aura that Masonic membership combined with any position of authority or influence were not to be tolerated by English society and government watchdogs. The article's online version has now been substantially revised, but excerpts of that first article can be read HERE ('Shocked! Guardian Discovers Freemasons In The Pressrooms... Just Not Theirs'). The immediate response of the United Grand Lodge of England that led to these corrections today (#EnoughIsEnough), as well as the resulting furor can be read HERE ('UGLE Responds To Attacks In The Guardian'). In addition to the Guardian's changes today, ten days ago The Daily Mirror completely removed their own version of the anti-Masonic allegation that was based entirely on the erroneous Guardian piece after a complaint was filed with IPSO, an English press watchdog group. Bravo to David Staples and the communication office of the UGLE for their quick actions and for at last standing up to this type of yellow journalism. That said, it should be noted that, so far anyway, there has been no actual retraction by any paper in their print editions. Only these online changes have been made. The Scottish Rite Northern Masonic Jurisdiction continues to officially roll out their new programs and strategies. At the Conference of Grand Masters this week, the Supreme Council's Linda Patch gave a presentation that was a gift to the entire fraternity: a whole new branded advertising and media campaign about Freemasonry that can be used as is, or tailored especially to suit a specific grand lodge. 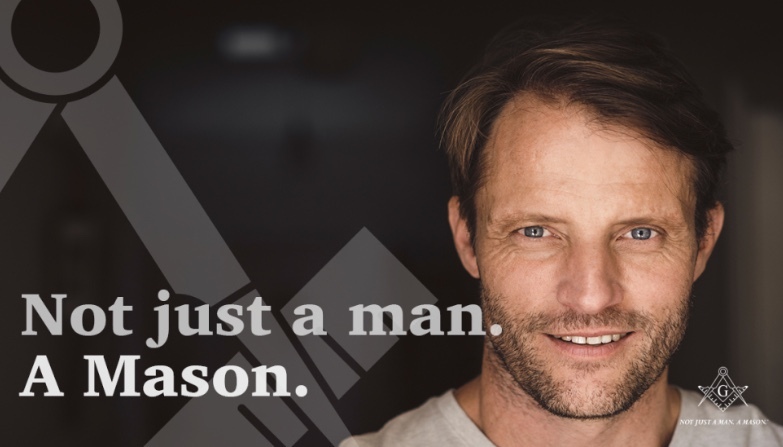 The campaign is designed to educate the public, and to inspire Masonic brethren about who we are and what we stand for as Freemasons. Just to clarify: this is NOT a Scottish Rite campaign, but a generic Masonic one. All of this marketing material is being provided free of charge to individual lodges and grand lodges. Further, the commercial and the print and online material can be customized by the Supreme Council to localize them, or to brand them for the grand lodge. Forms for ordering customization appear on the website. See how the Grand Lodge of Wisconsin is already making use of these elements right now on their website HERE. PLEASE NOTE: The images, material, and trademark are the property of the Supreme Council, AASR, NMJ, USA. 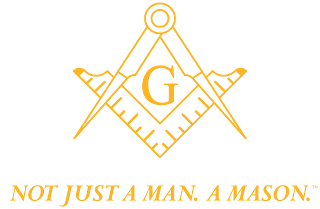 The Supreme Council is sharing this material with the Masonic family for their advertising and promotional programs, as long as we adhere to the rules in the BRAND GUIDELINE document provided on the website HERE. These include color and sizing changes, headline fonts, and other details. They may NOT be modified by anyone but the Supreme Council, which is a modest enough requirement to get this kind of complete campaign for no charge in return. Please do NOT go off on your own and make ANY changes to these images that are not approved by their rightful owner and creators. Last June, I had the rare treat of locking a large group of America's various grand lodge officers in a room for the Northeast Conference of Grand Masters and browbeating them for 25 minutes or so. They actually took it pretty well, and the North Carolina contingent got so excited that they stood on their chairs cheering at the end, so it must not have been entirely idle air-bending. The subject that was much on the minds of everyone in that room that day was an almost obsessive concern over What To Do About Millennials. 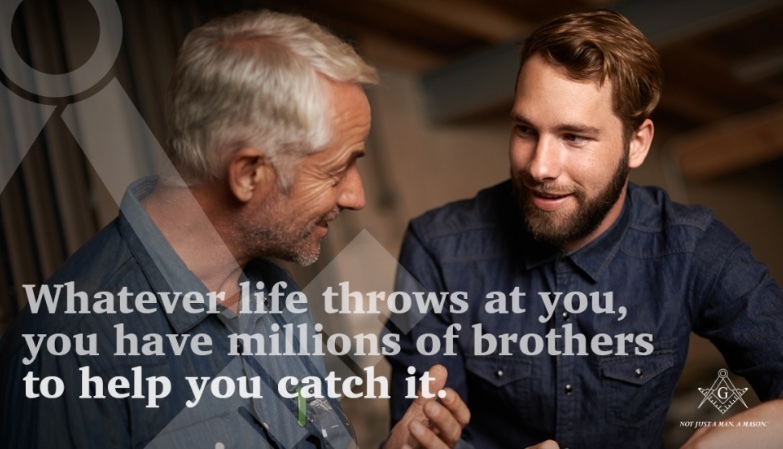 All last spring and summer, articles, editorials, marketing programs, and more came pouring out of Masonic offices everywhere that fretted and and concentrated on how to reach, recruit, and maintain the interest of men born between 1981 and about 2000. It was a curious preoccupation. If you read much of it dispassionately, you'd get the impression that what was being discussed was some odd, alien species, or perhaps some lost tribe of Amazonian rainforest dwellers who wandered out of the jungle and encountered their first flush toilet. 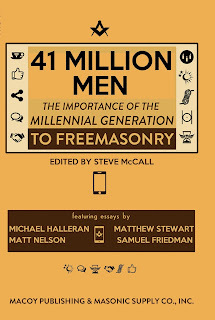 Well, just in time for the Conference of Grand Masters this weekend (and I mean JUST in time), Macoy Publishing has released a new book that needs to be on the bedside table of every grand lodge officer in the country, and probably the top three officers in any current Masonic lodge, too: 41 Million Men: The Importance of the Millennial Generation To Freemasonry, edited by Steve McCall, with an introduction by Michael Halleran. The book features essays by McCall, Halleran, Matt Nelson, Matthew Stuart, and Samuel Friedman, and it is due to go on sale on Saturday. Buy it and read it. You can literally finish it in one night, or on one plane trip. Unlike the usual treatment of topics like this, their collection of essays is NOT written by a group of 70 year olds telling another group of 80 year olds "what young men want." These are actually active, enthusiastic, and very level-headed Millennial Masons in the trenches. Like most of us, they have encountered more than their share of failing, 'hospice lodges' providing nothing more nourishing to the heart, soul, mind, and stomach of the the rank and file Freemason besides prison coffee and gray bologna sandwiches in the basement. 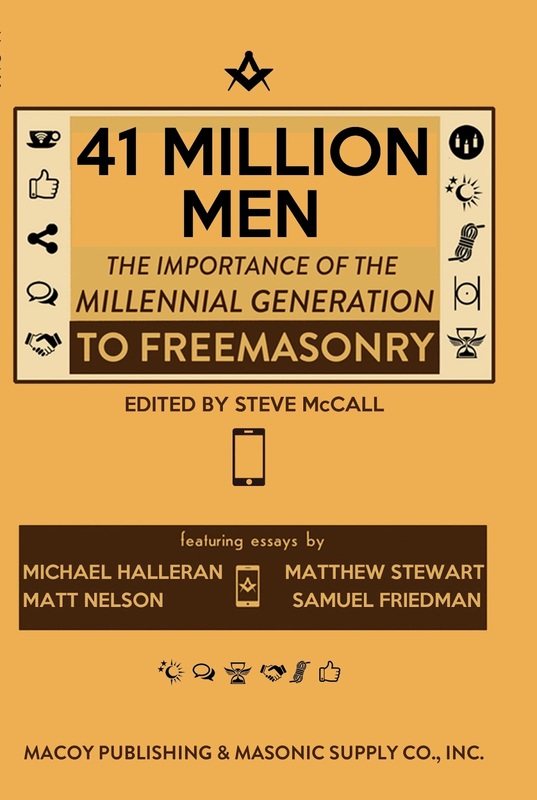 This diminutive volume presents the statistics in black and blue about who this generation of men are, how many of them are out there in the world, why they do and do not become Freemasons, and why so many of them who actually join the fraternity wind up leaving within two years or less. And they actually provide some solutions, because the world doesn't need yet another book with the premise, "I'll tell ya what's wrong with this fraternity..."
I despise generalizations, as a rule. Oliver Wendell Holmes, Jr., reportedly said of generalizations: "No generalization is worth a damn, including this one." Nevertheless, what's important to understand is that the general attitudes, beliefs, values, behavior, and habits of Millennial men really ARE a perfect fit for what Freemasonry has to offer. 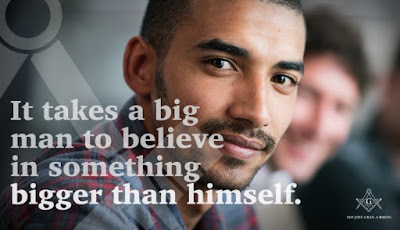 41 Million Men should be at the top of your reading list if you are in any sort of leadership position in this fraternity, and you ignore it and its information at your peril. Steve McCall presents a generational overview of the current American demographic and their various broad characteristics and patterns of behavior. Samuel Friedman writes about the Millennials' generational attitudes about race, diversity, and gender, and how that may affect the fraternity going forward. 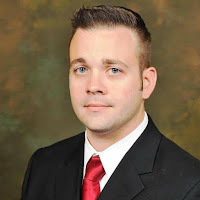 Matt Nelson writes about the all important (and almost never practiced) topic of Masonic education, what forms it can take, what it should be providing, and how to introduce it into any lodge. Moreover, he stresses why it's so very, very important that we all need to be doing this right this very moment. And it's not like this is quantum physics, either. Matthew Stuart writes about the Millennials and concepts of spirituality, and why Freemasonry is the ideal fit for them, if we're doing this right. And the book is filled with practical advice on how to attract and retain these men who are so vital to keeping this fraternity alive in the coming years. Half-baked plans, with no long-range planning, and zero enthusiasm will no longer do, and we are watching the results of that past behavior all around us. The truth is that we’ve got a cataclysmic problem with leadership and vision in this fraternity. Merely flacking and plumping for new members year after year and not knowing how to keep them is like your mechanic saying "I couldn't repair your brakes, so I made your horn louder." Here's a clue: I hate to break it to all of us, but younger men will have their revenge by simply outliving us. They already outnumber us in society. And try as we might, we can't rule anybody from the grave. Why make everybody's life miserable by ceaselessly insisting that the programming and practices in our lodges will only change when they rip the keys to the Temple out of our cold dead hands, and not before? One thing is certain: if we continue to present to the world outside nothing better than an image of senior citizens in crumbling, once-magnificent temples, who gather only to play cards, swill Folger's Decaf, and exchange nothing but stories about how mean our doctors who all look too young are to us these days, we will achieve the oblivion we so richly earn. Everyone over 65 in this fraternity was 30 once, too, and we do well to remember how we were all treated by the WWII veterans who refused to change anything, either. Let's not do to those who follow what was done to us, or become the very sort of men we were always frustrated by. The poet George Meredith once wrote, "Keep the young generations in hail, and bequeath to them no tumbled house!" 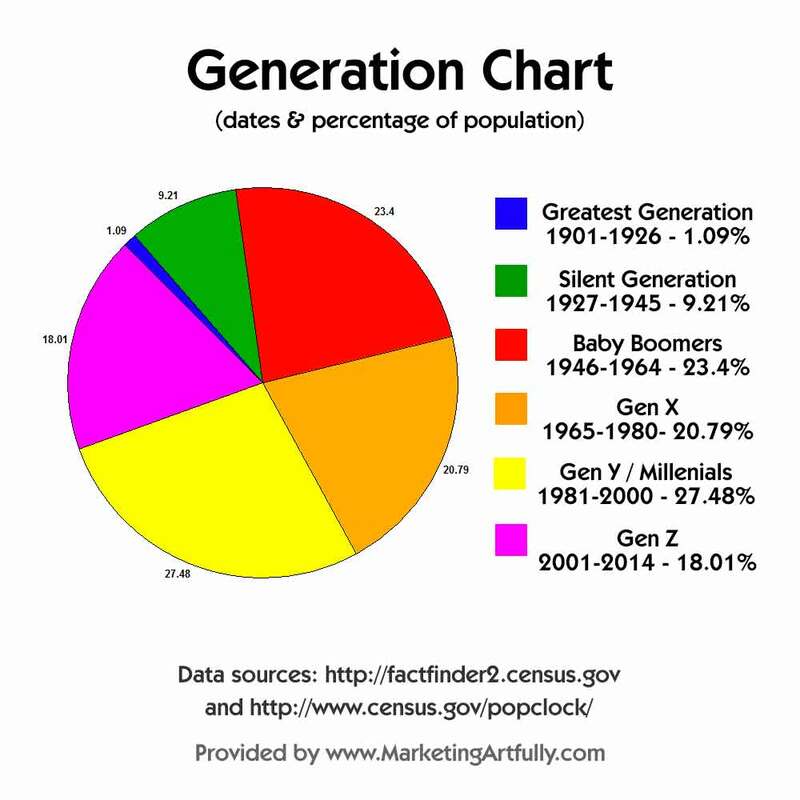 There are just as many Millennial men in America right now as there are of us Baby Boomers. It's long past time to hand them the keys, sit back, and say "Do greater things, and make us all proud." Start by buying this book. And then get to work. Available now directly from Macoy for $15, with a 25% discount for quantity orders over five copies. CLICK HERE. 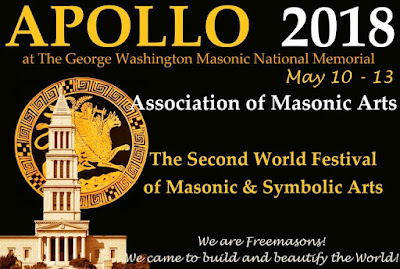 Because I haven't been at Masonic Week in the last couple of years, I've been late to spread the word about an organization that is dear to my heart. 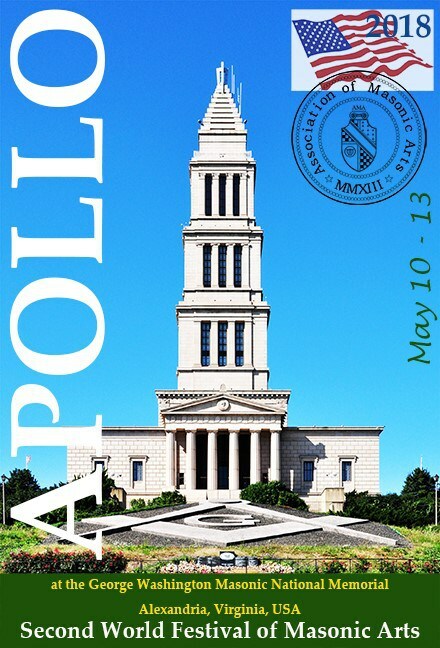 The ninth annual meeting of the Masonic Society was held in Arlington, Virginia last week and the new officers were elected who will steer the organization into its second decade of life. The Masonic Society celebrates the tenth anniversary of its official founding on May 1st, 2018, but it first began as a barstool conversation earlier that February at Masonic Week by a couple of brethren frustrated with the status quo of research groups at the time. Since then, it has gone on to great achievements and successes. On February 10th, Patrick Craddock was elected as the Society's President. He is a Past Master of Conlegium Ritus Austeri No. 779 in Nashville, Tennessee, but many of you may know Patrick as the proprietor behind the Craftsman's Apron, a unique supplier of bespoke Masonic regalia in the United States. Patrick is a longstanding expert on historical Masonic aprons along with being a talented artist, and his original creations are the best hand crafted aprons you will find anywhere. He is also a dedicated historian and scholar, and he will be an outstanding leader for the Society. 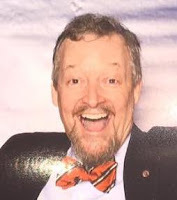 Jay Hochberg was elected as First Vice President, and if you don't know Jay personally, you may have encountered his long-running blog, the Magpie Mason. He is a tireless worker in the quarries of the fraternity, and extraordinarily active especially in the northeastern states. Oscar Alleyne of New York rounds out the top three spots as Second Vice President. A brilliant scholar, Oscar is one of those active, enthusiastic, inquisitive Masons who always seems to be everywhere you turn, even overseas, and he is indefatigable. The combined knowledge and experience of these brethren make a formidable team for the Masonic Society going forward. I'm looking forward to the next decade and what it brings. Michael Poll continues as the Editor of the Journal of the Masonic Society, along with John Bridegroom as the art director for the finest Masonic magazine in the world; and Nathan Brindle remains as our Secretary/Treasurer. Nathan has done this thankless job since our very beginning, and it is a seriously time consuming position we stuck him with. These brethren are the cornerstone of our organization and deserve our deepest gratitude. The keynote speaker at the annual banquet this year was Eric Diamond from Chicago. You may recognize Eric from his podcast Xoriente, which has been airing for as long as I can remember such a thing as podcasts being around. He was certainly among the very first Masonic podcasters in the U.S. According to Jay's report from the evening, "Eric spoke of the need for today’s Freemason to assert himself in the public square to help society sidestep the perils of what is known as the “Dark Enlightenment,” not unlike how our Masonic ancestors brought the Enlightenment to English, French, and American life centuries ago." Finally, congratulations, thoughts and prayers go out to my friend, fellow Lodge Vitruvian member, and brother Ken Davis, our outgoing President. Like Roger Van Gorden, Jim Dillman, Nathan Brindle and I, Ken was part of the "Indiana Masonic Mafia" that helped to mold the Society in the beginning. Ken and his wife Betty retired and moved to New Mexico in recent years, and he became every bit as active Masonically there as he was in Indianapolis. Unfortunately, in recent months, Ken has been diagnosed with prostate cancer, and now must do battle with that damned disease. He was unable to attend the annual meeting this year. All of us wish him godspeed, and he has our gratitude for all he has done to advance the goals of the Society. Coinciding with the bicentennial celebration of the founding of the Grand Lodge of Indiana this year, Indianapolis is hosting the 2018 Conference of Grand Masters of North America. Events start Saturday, February 17th and run through Tuesday, February 20th. I will be roaming the halls or manning a vendor's table at the Hyatt with my usual stack of Freemasons for Dummies and my other books. But this year is very special for us in Indiana, and I will have copies of my latest, Heritage Endures: Perspectives On 200 Years Of Indiana Freemasonry. It will be the perfect souvenir of your trip to Indianapolis this year, and a bargain at a paltry $25. Plus, my Grand Master Rodney Mann is tired of tripping over all of these book boxes on his way to his office. So I had to do something drastic. I promise that, unlike the usual grand lodge history book, this one will be of interest to all Masons, not just us Hoosiers. This isn't just a list of antique grand masters and forgotten lodges, and Indiana is placed into the wider story of the fraternity. 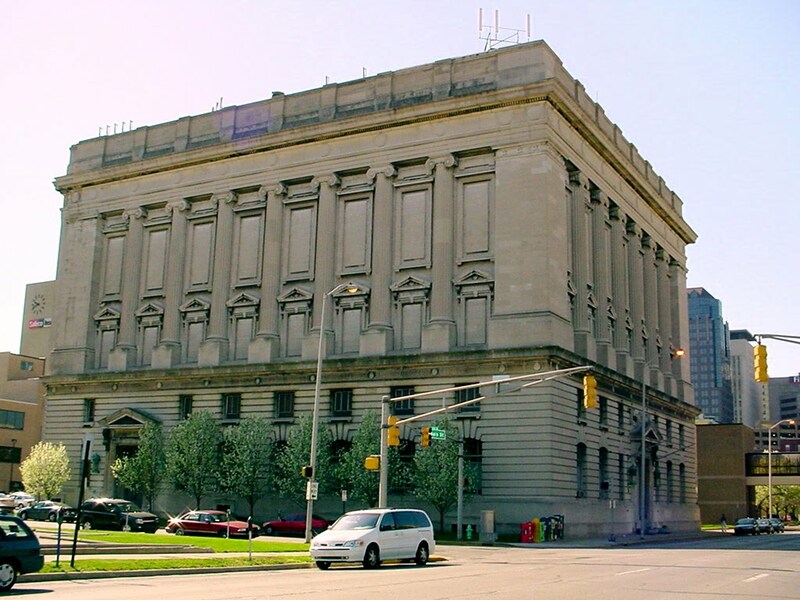 While you're in town, be sure to visit our three major landmark Masonic buildings: the Indianapolis Masonic Temple at 525 North Illinois Street; The Indianapolis Scottish Rite Cathedral, just north of the Temple at North and Meridian Streets; and the Murat Shrine Temple at 502 North New Jersey Street. Also, be sure you visit the Masonic Library and Museum of Indiana on the 5th floor of the Masonic Temple. Our director, Past Grand Master Michael D. Brumback has flown back from wintering in Phoenix just to be here for the Conference, and he is the consummate Museum guide. 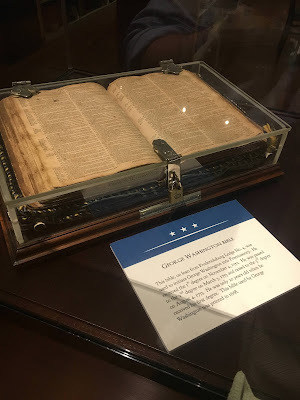 We have many special exhibits here specifically for the bicentennial year, including the Fredericksburg Lodge Bible upon which the young George Washington took his three Masonic obligations in Virginia in 1752-53. 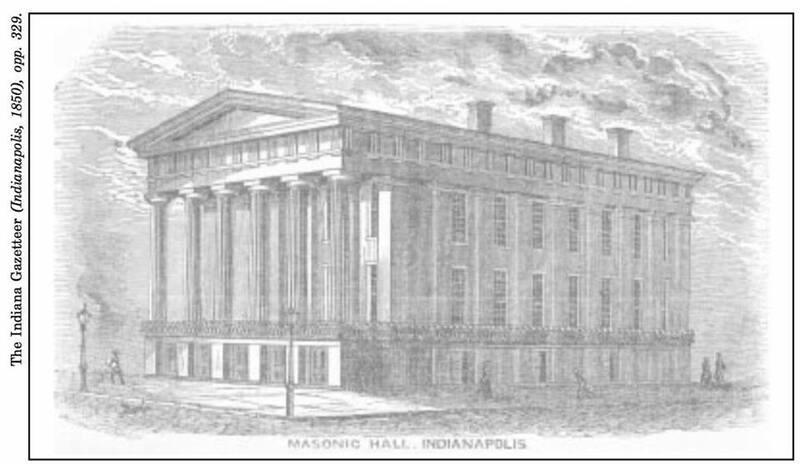 The first Indianapolis Masonic Temple and Grand Lodge headquarters 1848-1874. SE corner of Capitol Avenue and Washington Streets. Second Indianapolis Masonic Temple (1875-1906) during the fire of 1906. Indiana Freemasons Hall auditorium, embarrassingly (and expensively) left out of the original plans. Replaced by the current Temple in 1910. No one will be bored in this town, I promise. If this is your first time in Indianapolis, don't just chain yourself to the hotel. You and your traveling companions are NOT confined to the Hyatt when it comes to shopping, dining, and loads of sights and attractions, including museums and theatres. Downtown Indianapolis is FILLED with 300 restaurants, so you will find an embarrassment of riches when hunting somewhere to eat dinner. Better yet, this is a walking city, even in the winter time, and loads of business areas are interconnected connected with covered walkways, including the Circle Center Mall. Everything is close by. 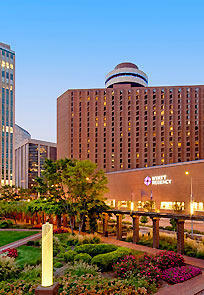 The Hyatt is a five minute walk from dozens of eateries, in all price ranges. Check out the Downtown Indy website for ideas. Registration desk will be open from 9:00am to 3:00pm. -Welcome and Tailgate Party: Refreshments at 5:30 pm, Dinner at 6:30 pm, Dress is casual, wear your favorite team apparel. Registration desk will be open from 9:00 am to 3:00 pm. Grand Masters Conference opens at 10:00 am. Dress: Coat/ties-Dress/Pantsuit. Reports of Planning, Executive Secretary, Nominating Committee, Election of 2019 Officers. a) Grand Masters and their Ladies "Get Acquainted Lunch"
a) Deputy Grand Masters and their Ladies "Get Acquainted Lunch" a) Grand Wardens, Officers and their Ladies "Get Acquainted Lunch"
SUNDAY AFTERNOON: Conference will begin with Reports by the George Washington Masonic Memorial Association; National Masonic Foundation, Masonic Renewal and MasoniChip International; . Breakouts on Database Management, Blue Lodge Finances, & Millennial Apprentices. SUNDAY EVENING WILL BE OPEN. So take advantage of our incredible downtown lineup of dining options. Grand Masters' Conference reconvenes at 9:00 am with reports from Time and Place Committee and Commission on Information for Recognition. Breakouts on Lodge Security, Social Media & Generational Differences and Expectations followed by a second session on Lodge Security, Social Media and Masonic Youth. 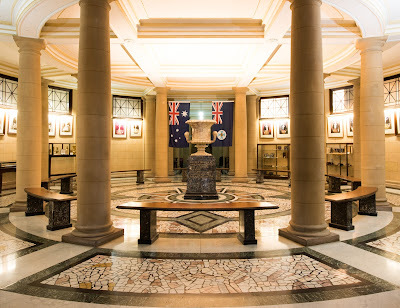 Grand Masters, Grand Secretaries & Visiting Grand Lodge Officers photos at 11:00 am. Grand Secretaries' and Grand Masters' Conference reconvenes at 1:30 pm. Breakouts on Peer Groups, JGMs, SGMs, and DGMs. BANQUET HOSTED BY THE CONFERENCE OFFICERS: (All welcome) Entertainment and 2018 Presentations. Social Hour -- 6:00pm; Banquet at 7:00pm, $75.00 each. Dress: Coat/Tie-Dress/Pantsuit. DAD LAND SHRINE/DEMOLAY MEN'S BREAKFAST 7:00 am -- Sponsored by the Imperial Shrine on behalf of DeMolay International. Donation of $20.00 is being collected for DeMolay International. Grand Master's Conference reconvenes at 9:30 am with reports from Time and Place Committee and Commission on Information for Recognition. Breakouts on Temple Associations, Redistricting/Consolidation & Social Media. LADIES BRUNCH: The Masonic Medical Research Laboratory will host a Ladies Brunch on Tuesday morning at 9:15 am. The Grand Masters Conference will reconvene with business session and discussion on any items not completed. Our 2019 Hosts, the Grand Lodge of South Dakota will have a presentation on the 2019 Conference. After adjournment the National Sojourners, Inc., Grand Masters Chapter 996 will meet. Please stop by my table and chat. I'm looking forward to meeting up with old friends and making new ones. And I hope you have a great time in my home town! 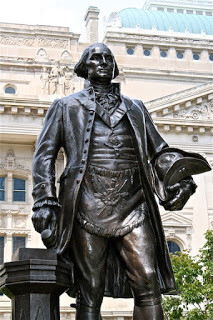 Great Masonic ideas and practices got their start in Indiana, and we have much to be proud of here. 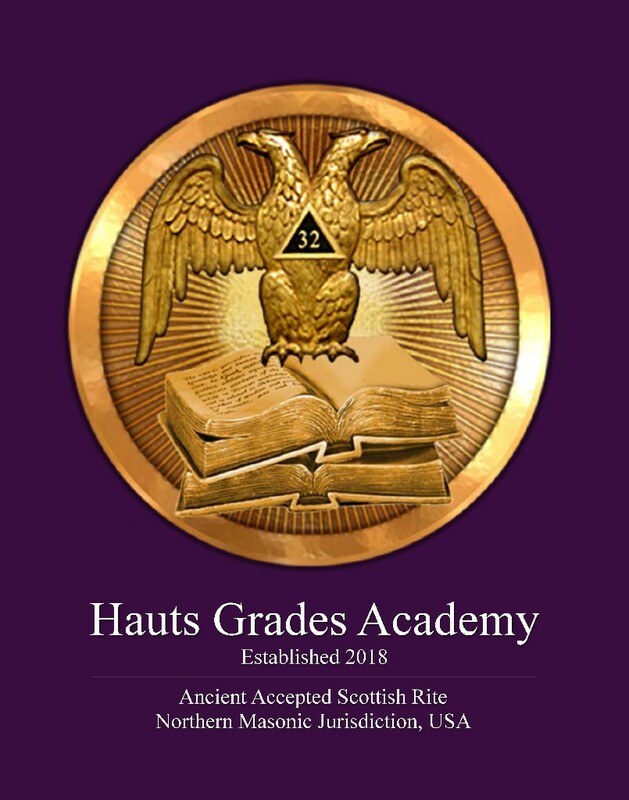 As of today, the Hauts Grades Academy education program of the Scottish Rite Northern Masonic Jurisdiction is officially live and running with its first class of registrants. This initial class is full, but new students will be admitted soon. The HGA program is divided into three levels. At Level One, the candidate delves into the rituals of the 29 AASR-NMJ degrees with an open book, 100-question, multiple choice exam. Trial questions will be provided before Level One participants get started, in order to see the nature of the actual test. Additionally, the test may be taken and retaken (with different, randomly generated questions) until it is successfully passed. Once that level is passed, at Level Two the candidate picks any nine degrees and writes a substantial essay on each of them, reflecting on the lessons and teachings embedded in their rituals. The Academy Advisory Board will mentor the candidate throughout the process. 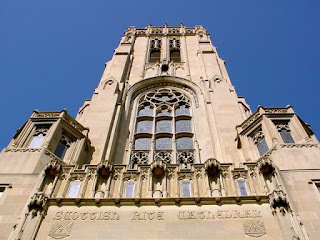 Finally, at Level Three the candidate creates a professional research paper—a Master Work— not less than 2,500 words in length, focussing on any topic of his choosing, from history and ritual, to philosophy of the Scottish Rite. Papers created by HGA participants will be published annually by the Supreme Council, or as articles in the Northern Light magazine. Graduates of the HGA will receive a certificate at each level, and upon successful completion of the program, presented with a special Hauts Grade Academic jewel. The HGA program is envisioned to always be a work in progress, and the goal is to foster, support, and encourage Masonic scholarship throughout the Scottish Rite NMJ.There will be online reading materials provided for the course, as well as a list of other outside recommended reading material. There will be student follow up and feedback throughout, and the program will be constantly evaluated, with improvements and adjustments made as it progresses. Because of the personal attention required by the course facilitators to accomplish this, the HGA must limit the size of each class. If you are interested in enrolling in the Hauts Grades Academy but missed your chance to be a part of the first class, SIGN UP HERE to add your name to the waiting list, as registration will be opening again soon. 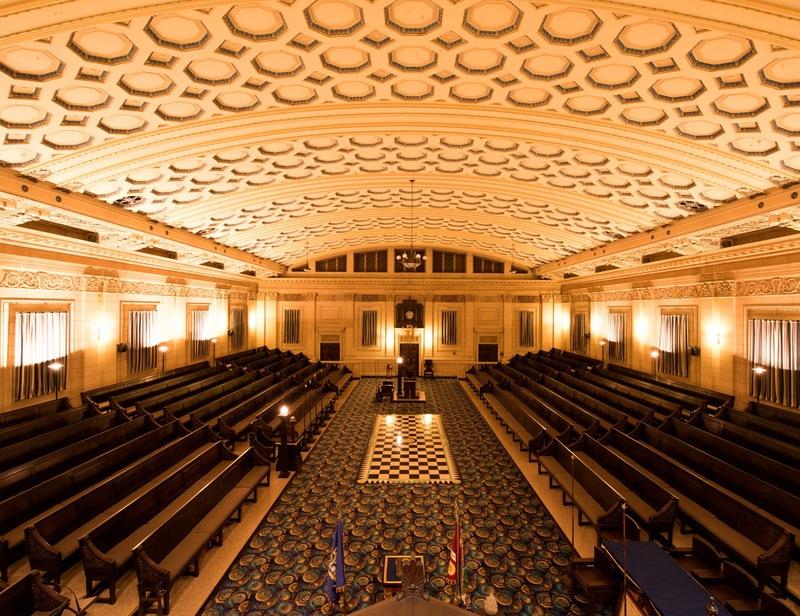 The Society of Blue Friars was formed back in 1932 to specifically recognize the excellence of Masonic authors, and their annual meeting is held each year in February during AMD/Masonic Week in the Washington D.C. area. 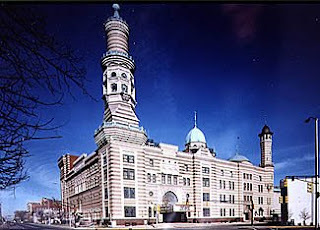 It is arguably the smallest of Masonic organizations, and possibly the oddest, since it has no ritual and few rules. The Grand Abbott chooses the new Friar, and it is usually a closely guarded secret until its announcement. Each new Friar, upon the announcement, is required to give a short paper to the audience and fellow Friars. 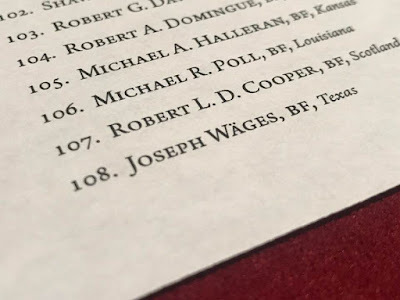 This morning in Arlington, Virginia, the 74th Consistory of the Society was convened by Grand Abbott, S. Brent Morris, who named Brother Josef Wäges of Fate, Texas as the 108th Blue Friar. Josef is the co-author of The Secret School of Wisdom: The Authentic Ritual and Doctrines of the Illuminati (2015), and he is a dedicated and careful scholar and researcher. His presentation today was on Etienne (Stephen) Morin and an obscure 1764 manuscript of ritual from Santo Domingo, known in some circles as the Baylot Manuscript. Morin was a French dignitary in the Caribbean who was responsible for the early spread of Masonic degrees of the Order of the Royal Secret (later the Rite of Perfection) between 1763 and 1771. 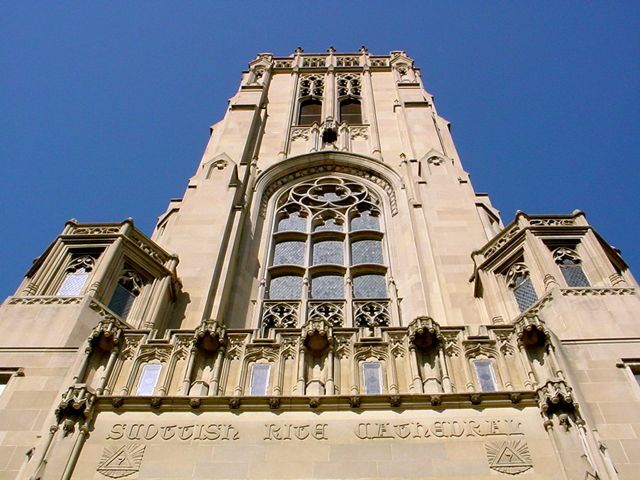 These would become the foundation of what we know today as the Scottish Rite. The rough and hard to read Santo Domingo Manuscript comes from the French Masonic archives of Jean Baylot in Paris' Bibliothèque Nationale, and predates the far more famous Francken Manuscript by almost twenty years. Congratulations to Josef for this honor and recognition of his scholarship and talents. I'm looking forward to his rumored new project later this year. Following the presentation, the fellow Friars who are in attendance always gather for lunch. To my great bewilderment, I was accorded the honor of being named Friar No. 101 in 2012. I was unable to attend Masonic Week again this year, but Brother Shawn Eyer (Friar No. 102) posted a photo on his Facebook page of the assembled authors today. Richard E. Fletcher (81), Thomas Jackson (93), Josef Wäges (108), Shawn Eyer (102).